Your debt-to-income ratio (often abbreviated as DTI) is the percentage of all your monthly debt payments relative to your gross monthly income. To calculate your debt-to-income ratio, you add up all your monthly debt payments and divide them into your gross monthly income, which is generally defined as the amount of money you earn before your income taxes and other deductions are taken out. Lenders will consider all your monthly debt obligations – often called recurring debt – when calculating debt-to-income ratio, including your mortgage (principal, interest, taxes and insurance), auto loans, student loans, your minimum monthly payments on any credit card debt, condo fees, if applicable, and any other loans. The Consumer Financial Protection Bureau states that evidence from studies of mortgage loans suggests that borrowers with a higher debt-to-income ratio are more likely to run into difficulties making monthly payments, so lenders give the number a lot of weight. 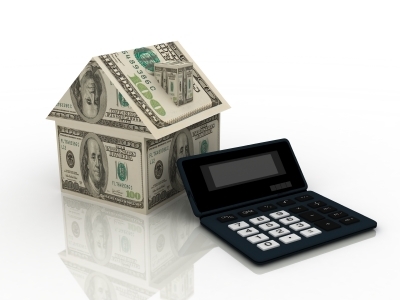 The number is arguably as important as a homebuyer's credit score. Lenders typically will allow a debt-to-income ratio of about 43 percent; however, the loan type, amount of down payment and other factors will decrease or increase the maximum allowed debt-to-income ratio for a borrower. If your debt-to-income ratio is close to the maximum percentage allowed, you should not purchase with credit cards appliances, furniture or anything else before the closing. Increasing your debt with credit cards or other loans or changing your credit profile in any way after your mortgage loan has been approved might prevent your closing from taking place. It's best to just wait until after the closing to make purchases for your home.